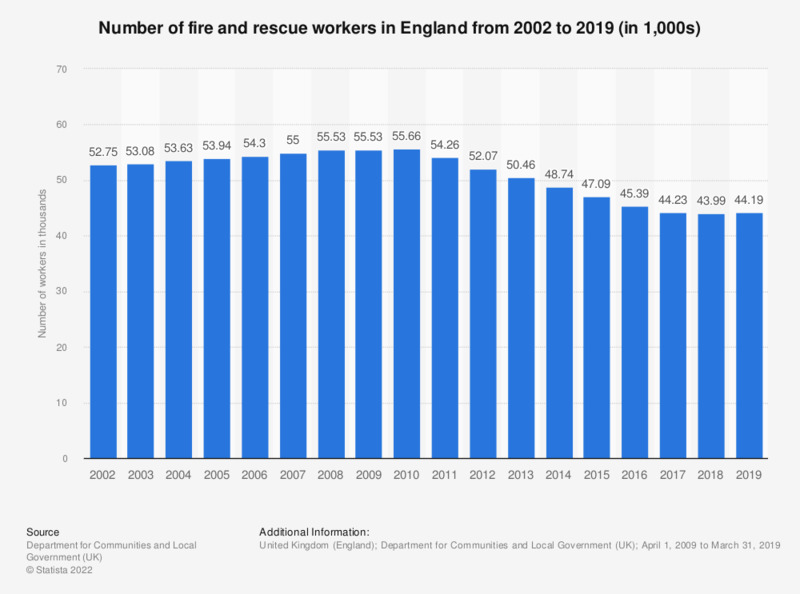 This statistic shows the number of fire and rescue service workers in England from 2002 until 2017. Over this period, there was a net decrease in employment increasing annual from the beginning of the period before peaking in 2010 and subsequently decreasing annually thereafter. Total includes wholetime staff, retained duty staff, system fire control staff and support staff.